Rachel Cranny, Fundraising Manager, Birmingham REP.
Earthen Lamp were invited to deliver a session on evaluating projects effectively for funders at the Midlands Arts Fundraising Forum. 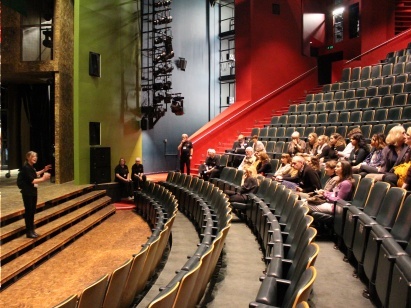 Fundraisers from over 20 of the region’s most prominent arts organisations gathered at Birmingham REP to share ideas and experiences, as well as addressing some of the most pressing issues currently affecting the sector. 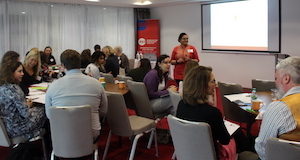 The Midlands Arts Fundraising Forum invited Earthen Lamp to deliver a workshop on evaluation, with an emphasis on ways of measuring and capturing data efficiently and effectively for funders.